What would you do with a bright flashlight? A better question would be what you do without a flashlight? Every home deserves the brightest flashlight for the darkest nights. First, what is it? It is simply a torch that illuminates far and bright to give you the same power as electricity. One of the best things about it is that you can carry it whenever you need, especially outdoors when you need an extra pair of eyes. Why Would You Need A Flashlight? Outlite A100 is not only quite cheap, but it is also beautifully designed. This flashlight uses tac light and illuminates as far as 600 feet. It offers a bright beam of light that illuminates a broad area. This flashlight has several white LED lights and shines brightly especially with brand new batteries. It uses disposable lithium batteries, and so you can be sure that the light is as bright as you need it to be. That having been said, it is quite expensive to maintain because those batteries will only keep it on for a maximum 5 hours. Note, however that this is five hours of continuous lighting, which you might not need. Intermittent lighting will push the batteries a bit longer. The manufacturer advises against leaving the batteries in the torch for long if it is not in use. This flashlight is handheld, lightweight at 5.3 ounces and measures 6.1 x 1 x 1.6 inches. With dimensions and weight like this, you can easily pack it for your outdoor adventure. Add a few pairs of disposable batteries to that package and you are good to go. The only thing that may hinder your adventure is the rain, seeing that it is not XP rated. It will handle a little rain, but torrential rainfall hitting it from all angles may overwhelm it. Do you want your light bright, low, medium, or flashing? Trust this flashlight to dance to your tune. This feature makes it possible to use it for reading, cooking, walking, running, and trail marking. We especially like the flashing effect, seeing that you can use it when running or walking to add visibility. Additionally, being handheld gives it the flexibility of turning it into different angles. This flashlight is built to last and to withstand several drops. The case is made of plastic metal. While most flashlights use disposable batteries, PeakPlus Super uses rechargeable ones for a change. It comes with lithium ion battery charger. Weatherproof? 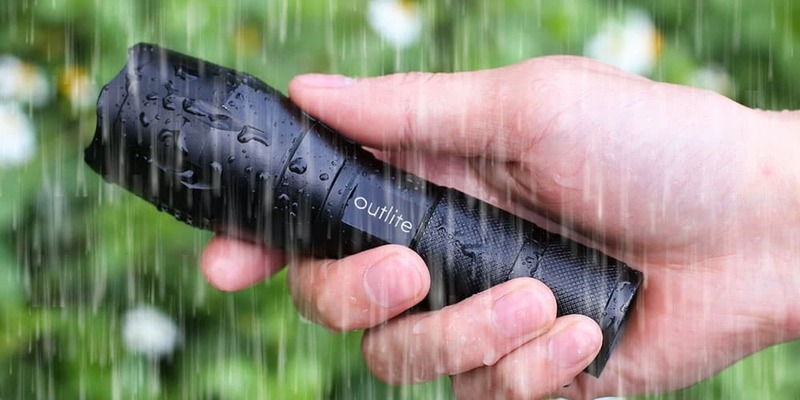 Yes, this torch can withstand heavy rainfall and even take several drops. It is built for the outdoors in mind. Surprisingly, it weighs 5oz! You would expect it to be heavier than that, but it isn’t. Well, that is a plus for campers, hikers, runners, backpackers, and those walk at night. It has five modes that you can use independently. Full Brightness, Medium Brightness, Low Brightness, Strobe Brightness, and SOS make it possible to use this flashlight for several activities, including reading without disturbing your roommate. If you are a backpacker who spends nights in dorms with early risers, this flashlight will enable you to keep working long after lights out. It is heavy duty, noting the material used to make it. 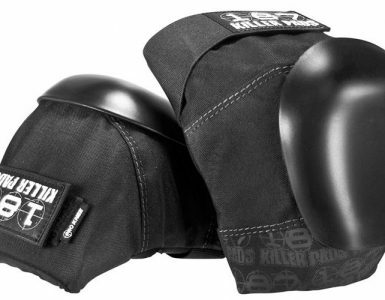 It measures 5.3 x 1.6 x 1.1 inches and has a great handle that ensures you do not drop it when your hands sweat. One of the good things about a handheld torch is that you can adjust it to suit your taste. A closer zoom will reduce the area on focus and flood you with light. You can also direct it to focus further, and you will reach as far as 500 meters. This flashlight shines brightly. With 1,000 lumens, you will light an entire room should the power go off. ​Lasts 4 hours but takes 6 to charge. The handles on many brightest flashlights are smooth and easy to lose grip if the hand is slippery. This flashlight may not be a looker, but the grip is rugged and hard to miss. It runs on a 14500 rechargeable battery that is not included in the package. You can also use a single AA battery on it if you are stuck in the woods with no charger and electricity. This, we think, is the most important feature of this flashlight. There is no restriction on the kind of battery, as long as it is alkaline and of good quality. The time that your battery lasts depends on usage. Continuous use will certainly mean quick draining of your rechargeable. Your battery takes about 6 hours to charge fully. The J5 Tactical V1-PRO has 300 lumens at its maximum output. Well, lumens do not necessarily validate or bring down the value of a flashlight, but we have seen other with more. The brightness is decent and will illuminate as far as 600 feet. Can you adjust the brightness? Certainly, it has three main modes; high, low, and strobe. These modes mean that you can use it for varied applications, including reading. J5 Tactical V1-PRO is no lightweight. It is made of aluminum and quite popular with those people taking on rough activities. It was tested on a rescue mission and scored handsomely. Hunters and campers like it mostly for its ability to take as many falls as possible and to still function properly. It can take torrential amounts of rain too. The only thing that could ruin it is immersion in water. It does not have that kind of endurance. Get two flashlights for the price of one. How does that sound? That's what you will get when you buy this package. First, the Hausbell 7W Ultra Bright Mini is pretty small. It measures 1.02 x 3.7 x 1.02 in and weighs 2.4 ounces. That is palm size right there! It can fit anywhere. It is super light to at 65g. The two flashlights are the same in each way, from the size the power. You would underestimate it for its size, but let that not trick you. 300 lumen with the ability to illuminate as far as 600 feet is what this little powerhouse carries. Well, here we have to admit that the beam is not as broad as it would be with a bigger torch, but it reaches far if that is your target. Hausbell 7W Ultra uses one AA or 14500 rechargeable batteries, which is not included in the package. It has three main modes; bright, lower bright, and strobe. Each of those modes lights on its own and you cannot have it on flash while one of the other modes is on. Although it is quite small, it is made of lasting material. The aluminum-made case will withstand several drops and knocks. Actually, it will stand so many of them, thanks to its size. This flashlight is too small for activities that need a broad beam. 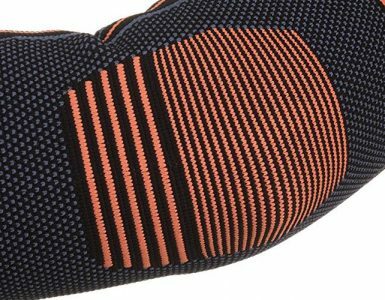 It is essentially a home tool for activities such as repairs in the garage, or walking on a well-known trail. It is waterproof to some extent. If you dropped it in a puddle and picked it up almost immediately, nothing would happen to it. This is yet another deal for ‘buy one get two.’ This pair of flashlight is not your ordinary pair; they are military grade. They have been tested and tried in the roughest of conditions and they came out smelling like power. It is made of heavy -duty material. Aircraft grade aluminum protects this flashlight from freezing, overheating, or damage from falls. Matter of fact it can withstand impact better than almost every flashlight available on the market. Water? It has nothing on this baby. Immerse it in water for up to 30 minutes, and it will still work as before. They are powered by an 18650 Lithium-ion rechargeable battery or 3 AAA, which are not included. This means that you can charge the battery for use when using it at home, the carry a few AAA batteries for the outdoors. Saves you money and keeps your path illuminated. Be warned, though, that the batteries are not included in the package. You have an iron charger. It has five modes; high brightness; medium brightness; low brightness, intermittent flashing, and emergency signal. It shines as far as 600 feet and can zoom in and out for the sort of focus you may need. Zooming it in reduces the beam to a triangle to focus intensely on a smaller area, while an outside zoom lights a full circle. Well, let’s try to count the many uses that this tool comes to the rescue. It’s dark at night, and you want to go for a walk because for some reasons, night walks are the best. No hustle, no jostling with people, hogging the space for precious air; so refreshing is a nightly walk. You will certainly see where you step or who is in front of you. How about using a flashlight? Hikers know best not to leave home without a flashlight. How else are you going to take another step on a trail that was last used several months ago? Furthermore, you are going to need to light your way at camp, before you lay your tired limbs to sleep. Cooking too will need a little light to gather the wood together and make a fire. Does that seem like too many chores when you already came from climbing hundreds of feet? The bragging rights are worth it. Backpackers are yet another lot that needs to carry their brightest flashlights religiously to every destination. You have no idea how crazy it would be to get to a faraway place in breathtaking New Zealand be unable to negotiate your way back to your hotel because the scenery was too beautiful and you just couldn't bring yourself to walk away without watching the sunset. Oh, you forgot that sunset ushers in the dark, but the views would be worth it. The brightest flashlight will guide you back to town so that you can rest and plan another fun day, this time with the cows. You not only need one for the fun stuff outside. One of those days when you feel motivated enough to check under the sink to fix that rattling noise under there, you will certainly need a flashlight to reach down there. Under your car too, when you want to tinker with something or just observe the mechanisms of your vehicle, bring the flashlight along for the fun. For several years now, people have been using incandescent light flashlights or torches. They have a bulb that burns brightly to bring out light. However, the last 10 or so years have seen the evolution of LED lights, and they seem to have overtaken bulbs. White LED is brighter and has become a favorite for lighting. They not only shine brighter, but they burn longer too. You can have a LED flashlight for a very long time. They also need less power to operate when compared to incandescent flashlights. Usually, you will have two options for battery type; disposable or rechargeable. Now, that aside, the kind of battery matters too. Is it alkaline or lithium? Alkaline batteries are bigger and last longer than lithium. However, lithium batteries, which are usually smaller, are more powerful. Flashlights powered by lithium batteries need two or three of them to work, but the light is usually brighter than with alkaline batteries. This will matter depending on the use you have in mind for our flashlight. If you use yours at home to check that everything is okay, or to hold the forte when power trips, you could go ahead and buy a big one. Those wall-mounted flashlights illuminate a wide area and could be ideal during power blackouts. They are also easy maintenance seeing that they use rechargeable batteries. If you are a backpacker or hiker who needs one for the road, smaller and lighter flashlights will be best suited. Most handheld flashlights weigh less that 10oz. You may not intend to take your torch for a swim, but sometimes the mountain comes to Mohamed. It is raining heavily, and it is pitch dark outside, and so you need your flashlight now more than ever. An XP rated flashlight will withstand torrential falls, with some even taking it a notch higher to withstand immersion in water up to a meter. When buying, this property should be advised by your intended use. If it were for outdoor use, it would be wise to buy one that can withstand the elements. Most flashlights are made of aluminum, and so they can take a few falls without breaking or damaging anything. You should look out for multiple modes so that you can change the settings to suit your needs. The brightest flashlight that you can turn from bright to low or medium is excellent because you can use it in various ways. It is ideal for reading, tinkering around in the garage, and illuminating broadly on a trail. There are always other matters to consider such as cost, but that should not really be a deal breaker. If your flashlight has great features and it is going to serve you for the next 100,000 hours or so, it would not hurt to splurge a little. These five are some of the best priced and brightest flashlights on the market. We certainly recommend them all for their pricing, functionality, and portability. 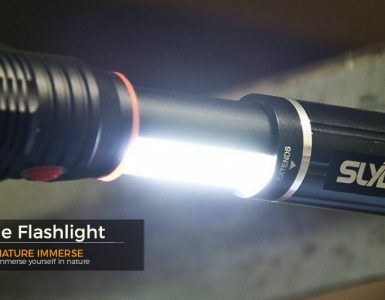 O﻿﻿utlite A100 Portab﻿﻿le Ultra Bright LED Handheld Flashligh﻿t caught our attention for its pricing, its heavy-duty material, size, and weight. You would be hard-pressed to find a flashlight with its brightness in that price-range. PeakPlus Super Bright LED Tactical Flashlight comes second for the waterproof aspect, light yet durable material, and decent light. Whatever you do with your flashlight, have all the fun.